Spokane is a beautiful city with a lot to offer, and when you are moving from NJ to Spokane, Simonik Moving & Storage is the company you can trust to deliver superior relocation solutions every step of the way. Since 1977, our BBB-accredited company has been known for providing comprehensive, streamlined moving services for household moves of any size and complexity. 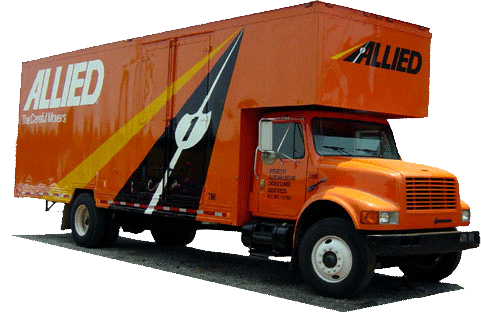 As an agent for Allied Van Lines, we are also part of a nationwide network of moving professionals who are fully committed to handling all the details of your next move, wherever in the United States you need to go. Choosing a moving company that can coordinate any-size move is a priority when moving to Spokane from New Jersey, and you won’t find better service and support than with the Simonik team. From your free, in-home, written estimate to the services of a personal Relocation Coordinator, we are with you every step of the way to help you navigate the process and to ensure a smooth and stress-free moving experience. Do you need a bit of extra time to get settled into your new home after making a New Jersey to Spokane move? Simonik offers both short-term and long-term storage solutions that eliminate the stress of keeping your items safe throughout the relocation process! By packing your items in containers designed for long-distance shipping and holding them within our secured warehouse facility, we ensure that your items remain safe until you are ready to receive them at your new location. Are you ready to learn more about how Simonik Moving & Storage can help you have an ideal moving experience? Just give our NJ to Spokane moving company a call today to learn more about what we have to offer! You can also get started right now by filling out our simple, online form to request an appointment for your free estimate and in-home consultation.